Content writing is the most important part of a bloggers life but writing content is not enough, you also need to optimize it according to recommended guidelines. In this lesson, you will learn how to choose your niche and write your content and also how to optimize it to get higher rankings on Google. Many of you want to start your own blog or business and want to succeed and earn more from there. Before starting something you need to choose your niche ( the topic of your blog or business). These niche ideas could be anything ranging from simple food topic to highly complex tech topics. It should be something that you are passionate about. It should be profitable niche ideas. Pros: It is damn true that you need to be passionate about what you do but it is also true that you need to make a profit from what you do. So, when you choose a niche about which you are passionate about it becomes easy for you to get engaged in your work. You can work for hours and guess what you will get better and better. Cons: It is not always necessary that the niche you are passionate about getting a lot of traffic and is the most interesting one. But it is ok you can make it go viral. Pros: It is good to choose the profitable niche when you need to make a profit from your blog and the only purpose is profit. There is no doubt that you will be making a good amount of money from those niches. Cons: There is a good chance that if you are not passionate about it then you may quit and start another one. And in order to succeed in blogging or even in business, it is necessary to focus on one topic rather than executing several ideas. So, if you want to become a business owner the best niche idea for you will be listening to your own heart. This is because if start with something that you are good at then there is a good chance that you will succeed in that. If you are an expert in your industry then chances are more and more people will try to connect with you and that will help you grow more. We all bloggers know Neil Patel and Rand Fishkin they are well-known entrepreneurs. They deal with millions of customers each and every single month. But do you what in which niche they both are? Well, they are completely different when I come to a niche. Neil is purely indulged in marketing niche but on the other hand, Rand is in SEO but there is one thing in common and that is they both are passionate towards their work. What do you need to learn from these folks? Well, frankly you need to go after something that attracts you the most and about which you know everything. So it may sound like an old-school practice but it is a good way to decide what you are going to do and for how long. The fact is if you take your time. And analyze which niche will be the best for your blog then you can go much far. On the other hand, if you are in a hurry then things may not work as you expect them to work. If you are going to start a business then time and stats will be your best friends as they will help you throughout your career. So, you must spend much time selecting the right niche for your blog or business. The reason that I am telling you to go after popular search results is that they have a decent search volume and have a good CPC that can help you in generating good revenue from your website. A good sign of great niche ideas is that they never disappoint you as these are already working for other people. Popular niche ideas like- SEO, Marketing, Fashion. And many more have many of the experts that are already doing well for more than 10 years. So, if they are doing good then chances are you will do well too. Go after a popular niche. You know what it does not matter if you are in a popular niche until and unless you solve a big problem. Solving a big problem does not only gives you more exposure but on the other hand, it helps you in driving more revenue. For example-Companies like Uber and Ola have solved transportation problem on a very large scale that’s why they are growing rapidly and most likely you all have booked them once or twice even if you own a car. Why because they are convenient and people love them. So in order to succeed choose something that may help you solve a big problem for a large market cap. So, my last tip for you is to look out how much competition you have in your category. Niche ideas with a high search volume but low CPC are not profitable at all. There is no doubt that whatever industry you choose you will face competition. You need to test things quickly and move a step ahead of the competition. So these were the 5 best tips that you must follow when you are picking any niche ideas for your blog or business. What I have experienced is that the more you spend time making things simple and better the more you grow. Now you have got your niche and it’s time to structure your blog post and here is the complete step by step process to do that. Have you ever asked yourself a question that why your posts are not getting much recognition even though you write great posts? This is because of the blog post structure is not that good as the blog content is. If you do not have that good structure you will not be able to rank higher. What makes a good blog are the elements of the blog posts. Many of the new bloggers do not structure their posts well. Therefore they do not succeed. You know what it depends on your title tag and how appealing it is. Writing titles that urge people to click on your listings. The more interesting your title tag, the more clicks you will get. Use words like- best, top, guide, step by step to have a great impact on the readers. Never use the same title tag again and again. Use portent title generator to get more ideas. Include the focus keyword in the title tag for best SEO results. Make sure your meta description is more than 160 characters but less than 200 characters. Including focus keywords in the meta description is very important from SEO’s perspective. Do not try to boast or mislead your visitors. Have a clean and authentic meta description. Internal linking is to link appropriate pages to other pages of your website. It helps in structuring your website and passes link juice to other pages on your website. Linking to other relevant pages also increases page authority. Use related anchor text while linking. Do not use the same anchor text again and again. Pay attention to bad or 404 links. External linking was important 8 years ago and it is still important as it helps to increase domain and page authority. In external linking, you are linking back to a relevant page related to your posts. When you think of external linking first choose the right post. Link back to authority websites only. Never link to any site with adult contents. Only link out to sites that are great in your niche this is because they will provide great value to your website as well. Believe me, content marketing is the key to the success of your blog posts this is because it is necessary to promote your content in the right way in order to get more traffic. Join all major social media platforms. Publish your posts on quora also. Create and join facebook groups and share great content in it. Engage with your readers and followers. Ask them to share your content. Improve storytelling on your blog posts. Nurture and engage with your audience. Be nice and provide great content. SEO Content Writing is something that helps the search engine recognize your content better. Are you willing to write outstanding search engine optimized content? Writing for SEO — What does this statement exactly mean? Writing an SEO optimized article is not a very hard task but you need to look upon some of the basic things that will help you in doing so. If people will like your content then it will appear above other same contents in the search results. More Social shares mean more popularity and hence more traffic which is great in Google eyes. SEO writing is the key to the success of your blog. SEO writers use SEO copywriting to ensure that they get more traffic and sales. But before starting let us look at some of the basics that will make your path more clear. 1. The first point straight of the mark does not expect that each and every content you write will rank on the search engines. 2. There is no specific length of content to get it ranked. 3. Unique content is best when you are optimizing for SEO. 4. Avoid keyword stuffing and over optimization. 5. Link building is necessary. Topic research is the first and important part when you are optimizing your content for SEO. It is divided into two parts: part-1 deals with the topic on which you should write and part-2 deals with generating a good and appealing title tag. Deciding a good topic on which you should write is easy because you need to solve other problem with your articles and not just explaining yourself. You can use Quora or twitter trends to get an idea about what people want and what’s trending where. Now, here you will get all the trending topic related to backlinks which you can use to write your posts. Answering and helping people on Quora help you in getting more backlinks to your website as well. Why am I telling you to use buzzsumo, it is because when you will go to the site. Just enter your competitors URL and their most shared post on social media. Then you just need to write better content than them. And head up to the domains linking to them and tell them about your post. Now Google Trends will help you in getting the trending topics or searches on the web. Pick a topic related to yours and gather some ideas and blow it up. This will help you write quality content. You can use tools like portent or semrush to get an idea of your topic and its title. It is very important that you care about the reader’s interest. I hate to say that it does not matter that what you think is interesting. It matters what your readers think is interesting. So write your blog posts according to that. When people read your content they must find it useful. Keyword researching is a bit difficult because you may get confused between the LSI keywords and may do keyword stuffing unintentionally but don’t worry I am here to save you like a superhero! Now you know there are many competitors that are trying to get ahead of you. Some are ahead and some are not. Selecting the right keywords will help you in ranking your content and eventually it will increase your traffic. For you can use Semrush or you can quora or amazon for that they all are great and will help in keyword planning. Go to semrush and put in the competitors URL and you will see the list of keywords that are ranking for you can copy those keywords and add some more to get the job done. Keyword density is the number of times a keyword is used depending upon the length of the content. Now, many people ask what is the right keyword density for an ideal post but unfortunately, there is no such thing. You need to write naturally and just because you want to rank and get more traffic and make money. You need to get clicks in order to make more money only selecting high CPC keywords won’t help you. Here you can find the CPC of keywords and you need to select high CPC keywords in order to make more money. Write a good and unique intro. Aim for great content and data. Most of the SEO blog content writer read many copywriting SEO books that make their vision even clearer. I want you to do the same by doing this you will gain more knowledge. There are many bloggers who will tell you that writing posts for more than 2000 words will help you get more organic search traffic with improvement in your rankings. Someone will say contents between 800- 1500 perform the best but you know what that’s not true. There is no specific content length specified by Google in order to rank articles on SERPs. It all depends upon the relevancy of your content. For example, if a person searches for restaurants he does not want to read an article on it, what he wants is a complete list of restaurants near him. And you know what Google will rank those websites above than that who have written a 2000+ words article on that. Now to be clear it all depends upon the content relevancy about which we will talk about in the next part. But don’t keep your content too short, At least write 500 or more words depending upon what topic it is. It will give your post a high ranking on Google which will drive more traffic to your website. Write a case study for your post. And if you have copied someone’s content then site the source of information at the bottom. All this will help your content gain credibility and people will trust it. In SEO article writing what matters the most is content relevancy. It means how relevant your content is to your topic or subject. So focusing on relevancy is important. If you are writing about backlinks you should write only about things related to that and not about how to do marketing because that is completely off the point. Recently published a guide on link building and also about various link building techniques. Building high-quality backlinks to your website are very important because without links it is very hard to rank on Google’s first page. It helps your website to rank on SERPs. Helps a lot in increasing traffic. Link building helps in increasing domain authority easily and quickly. Determines how valuable is your website’s content. Link building is not that easy as it seems, getting links from other quality website is a hard job until you have your own recognized brand. Well, I have a great technique for you which will help you get more links. It is not guest posting because it is getting spammy, it's not blog commenting because it is not good anymore. Answering more and more questions on Quora will help your website to get more popular among readers in your niche and they link back to you if your content could provide value to them. Also, you can write blogs on Quora and link back to your website to get links. It is a great way of building high-quality unique links to your website. Just go to quora and create your account set up your profile and choose topics related to your space and boom! you are off to the races. Haro is a great platform which allows you to connect with reporters and journalists and help them by providing information about a certain topic and in return you get a powerful backlink from a news website. All you have to do is to register and you will receive three emails a day requiring your answer and help those reporters. Try to provide great and unique content. This one simple trick will help you get more backlinks for your website. Another great way of building links is by appearing in podcasts. It also helps you in getting unique links for your website. Choose a narrow topic about which you know a lot. Record in an isolated room with no disturbance. Make it more like a conversation to bind listeners. Podcasts will also help you in getting great backlinks to your website. So far we have covered a lot about writing for SEO in 2019. Now after all this it’s time for the marketing and branding of our website and its contents. First, understand what marketing is? So, marketing is how you are presenting and promoting your content. It is the art of getting more traffic and increasing revenue and sales. But the question is how you should do it in the right manner? The answer by optimizing for revenue and not for conversion rates. Many of the modern marketers just focus on generating more leads but they do not focus on improving their product and eventually what happens is that they fail badly in their business because they do not provide any value to the users. Relating it to blogging if your content is not providing any value to the reader then it will not do that well. Apart from focussing on getting more traffic, you should improve the quality of your content and that will generate traffic for you as well. This section is divided into two parts: content marketing & social media marketing. Content marketing is necessary if you want to reach on top. It is important to make a content strategy to present your content in front of other people. For that just write unique and natural content, include real-life examples to which people can relate to, build a connection between your readers and the article. You can run ads of your website and its content through Google AdWords and other ad platforms to get your content to reach more and more people. At last, make sure it is relevant to what people want, try to improve the user experience. Do you know that more than 16 billion people are active on social media each and every single day? That’s crazy to imagine about getting 1 billion unique page views a day that’s crazy too! We will keep that aside for a while. Sharing your content on social media not only help you get more traffic but it will help you in getting more social shares also. Social traffic will reduce your bounce rates. Now branding is something that can help you rank instantly even if your link profile not that good. This is because if you have built a brand then the chances are it will be known to most of the people out there and Google loves to rank popular websites. Solve a problem with your content. Help others and ask them to share it. A meta description is important because it will tell the search engine bots that what your content is all about. It is a very essential component of your post. Page speed is for the user-friendly experience. If your page loads slowly then the user will not proceed further on your website. This will increase your bounce rate which is not good from SEO point of view. But if your website loads super fast then the user will click more on your website. Write Short paragraphs. No one wants to read a long text. So this was all about SEO content writing and what does it mean to write for SEO in 2019. 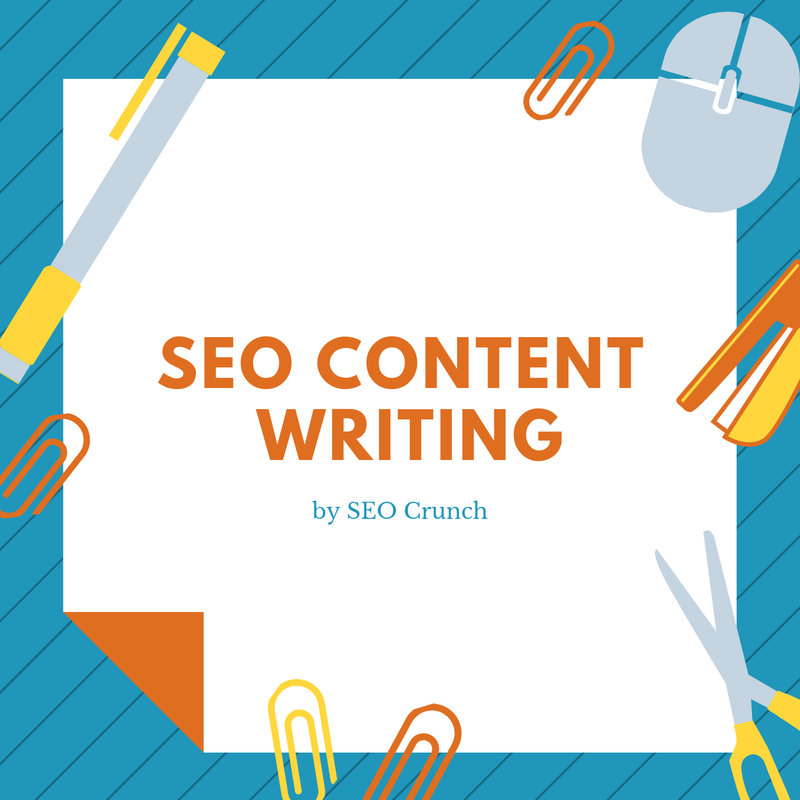 I have shown you some of the best practices for SEO content writing. SEO writing is easy if you understand all the concepts and improve your content day by day.